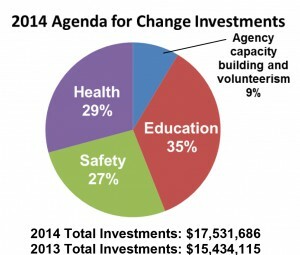 Investments in Education are improving school readiness and success. Strategies include expansion of Early Childhood Zones to the Verona and Sun Prairie communities. United Way announces investments of over $17 million into the Dane County community through targeted research-backed strategies aimed to change the human condition in Dane County. 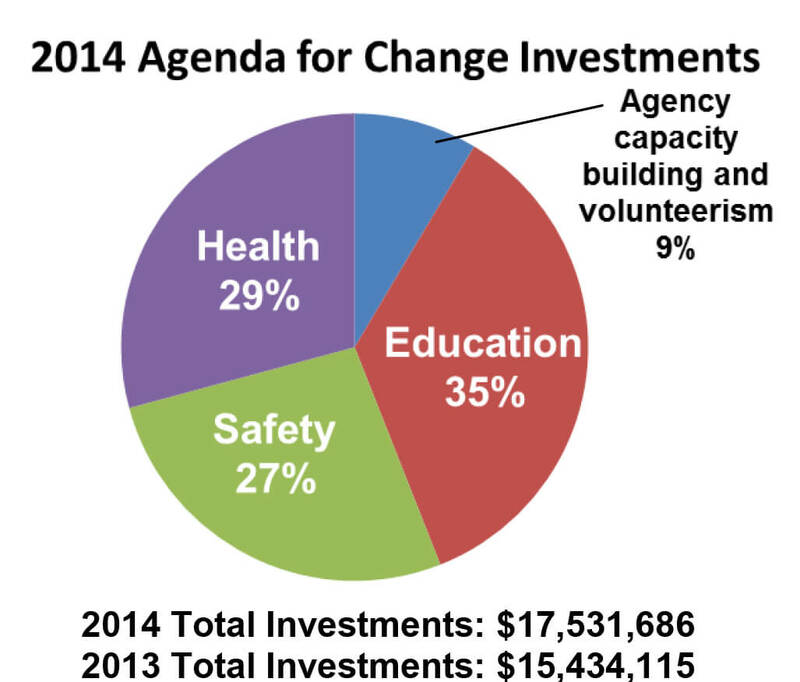 On January 28, 2014 the Board of Directors at United Way of Dane County approved over $17 million from the most successful ever 2013 campaign to invest in community impact strategies delivered by 107 nonprofits, representing 190 Agenda for Change funded programs. Approximately 37,000 Dane County residents and employees from more than 1,000 organizations showed their commitment to uniting the community, creating measurable results, and changing lives by participating in the 2013 United Way campaign. Early childhood education is a key strategy of our community’s Agenda for Change goals of preparing children for success in school and closing the racial achievement gap. Investments in this area are improving school readiness and success. Strategies include expansion of Early Childhood Zones to the Verona and Sun Prairie communities. Investments in this area are improving school readiness through signature initiatives in this area such as 17 Mobile Play and Learns, where parents and caregivers learn how to be their child’s first teacher, screeners to ensure a child’s developmental progress, and the Parent-Child Home Program (PCHP) a home visitation program. In PCHP specialists visit with families bi-weekly, teaching parents how to use an educational toy or book (provided by the program) to increase their child’s literacy and communication skills. Key partners in this work are Center for Families and Community Coordinated Child Care, Inc.
Two initiatives are making real impact in ensuring all students succeed academically and graduate from high school, regardless of race. The first is Schools of Hope, led by Centro Hispano, provides one-to-one and one-to-two tutoring to elementary students by trained volunteers in literacy and math in concert with the teacher’s curriculum to more than 2,800 students in 39 elementary schools in the Madison, Middleton/Cross Plains, and Sun Prairie school districts. The second, Achievement Connections works to improve the graduation rate through four key strategies: increasing student engagement, increasing emotional and social support for parents, increasing early identification and treatment of behavioral mental health issues, and re-engaging youth who have dropped out of school. This includes tutoring at the middle and high school level in Madison, Sun Prairie, Middleton/Cross Plains and Oregon School Districts. The key partner in this area is Urban League of Greater Madison. Our drop out recovery strategy is the HIRE Education Employment Initiative the new collaborative model to help adults get their high school diploma and navigate their way to employment opportunities. By providing a navigation system to employment, HIRE Education Employment Initiative will better align participant’s skills with employer needs. Through Individualized Hiring Plans, participants earn their high school diploma and/ or advanced certification for employment. Key partners in this work are the Literacy Network, Omega School, YWCA, Urban League of Greater Madison, Vera Court, Madison-area Urban Ministry and Madison College. Investments in this area reduce family homelessness through landlord relations and financial literacy training and counseling, quality case management, access to surplus food and benefits, and and permanent housing through our Housing First strategy. Housing First is an innovative strategy that costs half as much as shelter and is more than twice as effective. Research shows 37% of families that enter shelter become independent. But, 80% of families are stabilized in Housing First. 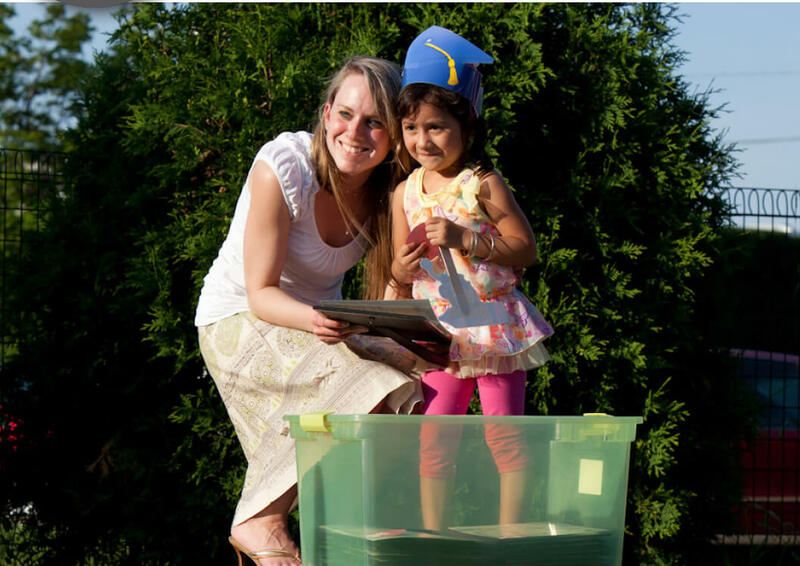 United Way’s housing and case management initiatives are stabilizing over 2,100 families in Dane County. Key partners in ending family homelessness include YWCA, Road Home, Salvation Army, and Porchlight. United Way is decreasing violence and increasing personal safety. These investments include our Journey Home initiative which is helping former prisoners reintegrate into the community to get on a positive life course. The return-to-prison rate for participants is just 7.5% (well below the state return-to-prison rate of 32%). Key partner in this work is Madison-area Urban Ministry. Ensuring people’s health issues are identified and treated early remains a top priority in our health work. In 2010, five Dane County school districts conducted research which showed 16% of students experienced trauma that interfered with their ability to learn. Cognitive Behavioral Intervention for Trauma in Schools (CBITS) provides screening for early intervention and treatment for 6th graders with anger, anxiety, depression and exposure to violence. In 2013 CBITS screened 2,500 students in 17 schools in Madison, Middleton/Cross Plains, Oregon and Sun Prairie. Key partner is Journey Mental Health Center. With Dane County’s senior population projected to grow 130% and represent 18% of the total population by 2030, United Way’s Safe and Healthy Aging focuses on strategies for seniors and caregivers to identify and address the risk of adverse drug events and falls so seniors can stay in their homes and remain independent. This work connected 500 seniors with comprehensive medication reviews by pharmacists to assess and reduce their risk of adverse drug events. An additional 520 received in-home assessments for the risk of falls and adverse drug events through trained volunteers and evidence-based falls prevention classes. Key partners are Pharmacy Society of Wisconsin, Wisconsin Pharmacy Quality Collaborative and Home Health United and local senior centers. UW Health and United Way of Dane County created a new program this year to ensure everyone has access to health insurance. HealthConnect is a health insurance premium assistance program, supported by UW Health. The program provides financial assistance for the individual’s out of pocket cost of insurance premium for plans purchased through the Health Insurance Marketplace for those with very low income. HealthConnect is not health insurance. In Dane County there are more than 55 plans between the four insurance providers listed in the Health Insurance Marketplace that qualify under HealthConnect. To learn more about HealthConnect visit www.unitedwaydanecounty.org/healthconnect.